We can’t tell you what to do about your kids when they send that baseball flying into your double-paned window, but we can tell you what to do to repair the window. Of course, what we tell you may not make you any happier with the situation, either. Once the glass has broken in your double-paned window the factory seal goes with it. This means simply replacing the glass won’t recreate the insulating properties that once were. You may be able to remove the window and reinstall it yourself, but you’ll still need to send the window back to the manufacturer to regain the earlier benefits. Repairing a double-paned window is almost never completely a DIY project, but you may be able to cut some corners and reduce the cost of the repair. Depending on the style of your window, you may be able to remove the entire window sash. This sash may then be taken to a window repair specialist. This specialist will be able to examine your window panel and, from the size and thickness, order and install the new window in the old frame. Manufacturers can vary on price and high-performance windows, such as low-E glass or gas-filled glass, may need to be special ordered. Talk to multiple window repair contractors to find the best price on the installation and the glass itself. Also, talk to the contractor about any tips on removing and replacing the sash into your window opening. This will help you determine if the project is beyond your skill. Keep in mind, as well, that some manufacturers won’t honor warranties unless the window is installed by a professional. Having a contractor come to your home may double or triple the cost of the repair, but in many cases, it’s still worth it. Your new window should last you a long time, and it’ll save you a bunch of time and headaches. Knowing that the price of repairing your double-paned window can vary probably doesn’t give you a definite idea of what to expect. The glass itself may range from $30 to well over $100. Having a window specialist install the window at his or her shop is probably going to set you back at least another $30 to $60, and if you need to have someone come out to your home to replace a quality, double-paned window, plan on the total repair cost to easily surpass the $200 mark. Of course, having your kid throw a hardball through the window isn’t the only thing that can go wrong with your double-paned windows. Through age and high moisture content, the factory seal can become broken on its accord. Often, your window will fog up when this has happened. You’ll still need to have the window repaired by a specialist to regain the seal, but sometimes this can be done without removing the window from the sash. With this time of disrepair, in particular, you should first check to see if the window is under warranty before hiring the services of a window repair contractor. Why Interior Designers Are Important For The Decoration of Space? Initial its real estate developers who construct building as per need of society, but after that when it comes to make the space special, than interior designers are important parts of any real estate or construction project. With the help of proper designing most of the time people as well as real estate developers try to enhance the value of property, however; in simple word we can say that interior designing is perfect tool to make the space live and market the project. In market there are many organizations which have team of best interior designers in Noida who are able to provide quality contribution in commercial as well as in residential interior designing projects. If you are abou to start the marketing of your project than better to fist do the interior designing of the apartments, because it will help you to attract the customers and get the optimum result from marketing campaigns because everyone love to visit and buy the creative and attractive spaces for office, shops and home. Apart from that if you are planning to hire the interior designers in Noida so make sure that they are able to design the space as per your need and requirement, apart from that you can also ask them to show their previous work portfolio and it will help you to know that which kids of projects they have deliver in the past and what is the quality of work/ And after that its recommended to do the proper discussion with your interior designer because its essential part of any interior design project projects where you are expected that discuss the design, budget and time f the project. Apart from that if you are in business and you have product to showcase then better to hire the best interior designers in Noida because creative space can help you to attract the customers and it will also help the customers to recall your space while making purchasing decisions. However; while decorating your dream home, if you have any design in mind, so better to consult with your interior designer because according to that or after some modification as per need and requirement he or she will be able to deliver the design in your dream space. Windows, more than almost any other feature, give a modern home its personality. When homebuyers are asked to describe a home they’ve toured, they usually include references to light in their description. Women in particular seem highly attuned to the levels of natural light in a home. Advances in window technology have made it possible for homeowners to greatly increase the number and size of windows without getting clobbered with higher energy bills. Modern windows are either double- or triple-glazed (meaning they have two or three layers of glass rather than one). While it usually makes economic sense to replace old, inefficient windows, many folks opt to go a step further and add or enlarge windows. A truly dramatic effect can be achieved by installing semi-circular palladium windows on top of traditional rectangular windows. There are even windows that go around corners to allow for a bright corner view unbroken by framing. Many people are also installing skylights or roof windows. Early skylights were prone to leaking. Modern, top-of-the-line skylights that are carefully installed by a professional can be expected to remain water-tight for a long, long time. If you are considering skylights for your home, don’t skimp. In the long run, you’ll be glad you went with the best. Modern windows rely on a wide array of technologies to achieve a level of energy efficiency as high as five times that of traditional windows. All that technology can also be confusing. Terms like “low-E glass” and “argon gas” don’t mean much to the average consumer. Any firm making a presentation to you about windows is likely to use dozens of such terms. Fortunately, there is a simpler way to evaluate different windows. An organization called the National Fenestration Ratings Council (NFRC) has developed a rating system based on the U-factor. Most windows now carry this rating, so it’s becoming easy to make comparisons. You want the lowest U-factor possible. When you talk to different vendors, ask them about their window’s U-factor rating. You can also look for the NFRC label. Use the U-factor to compare not only the window’s energy efficiency, but its construction quality as well. It simply isn’t possible for a manufacturer to achieve a low U-factor rating without using high quality materials and precision manufacturing techniques. Choosing the right firm to install your windows is at least as important as choosing the right window. The window must be installed absolutely level and square in order to perform at the level indicated on its rating label. It’s also important that the gaps left around the frame be carefully insulated before the trim is reinstalled. Another issue to consider is the type of sash. Some windows don’t open at all. Because they are useless as an avenue of escape during a fire, these windows should be used sparingly. 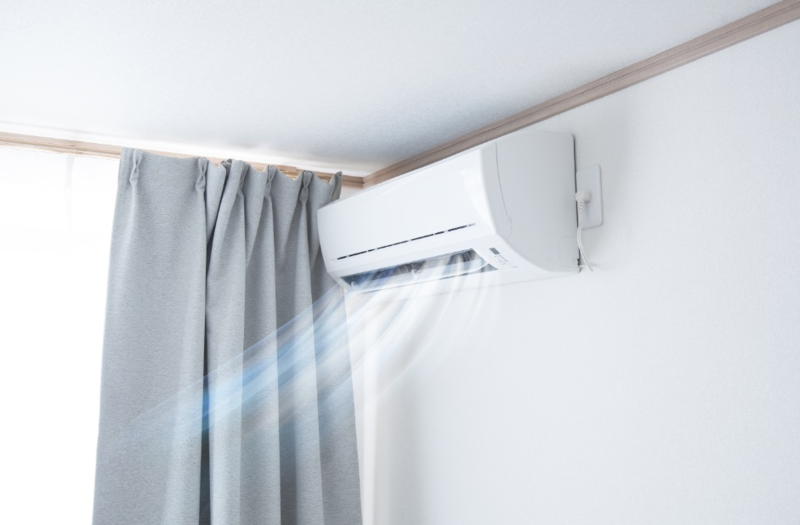 However, they are by far the most energy efficient, and are ideal for high, out-of-reach locations. The next most efficient closing style is the kind that swing or crank out. When you close these windows, the window sash presses against a pliable piece of weather-stripping. When completely closed, the compressed weather-strip forms a very effective seal. Least efficient are the traditional sliding sashes. A tight seal makes the window hard to slide, so the seals are left intentionally loose. Over time the seal becomes even looser. While most people focus on energy savings, the savings on maintenance can be even higher. Most replacement windows are made from wood or vinyl. Vinyl windows never have to be painted inside or out. In any painting project, whether interior or exterior, the most expensive part is the windows. Painting all those frames and mullions takes time. With vinyl windows you’ll save 30-50 percent off your painting costs. The combination of vinyl windows and vinyl siding can eliminate the need for exterior painting entirely. Some people prefer the natural look of wood. From an energy standpoint it works as well as vinyl. From a maintenance cost perspective it is inferior to vinyl. If you want the wood look, check out the fake woods first. If they aren’t the look you want, by all means go for real wood. For you, the higher maintenance costs may be justified by more pleasing aesthetics. Because modern replacement windows can have such a dramatic impact on the appearance of a home both inside and outside, and because they can generate substantial long run savings, they are excellent candidates for financing. You can get the improvement you seek now and offset monthly payments with both energy and maintenance savings. If you use a loan secured by your home, it is likely that you’ll realize tax savings as well.